When your Phantom loses GPS signal and enters failsafe mode, their are always some anxious moments as you are unsure whether your quadcopter will return to its home point. If the Phantom is out of sight, the anxiety is even greater until you see your Phantom coming back to you. It’s not a good feeling at all. If your Phantom is losing the GPS signal regularly, you lose the enjoyment of flying and with each GPS signal loss, there is always a chance of your Phantom crashing. 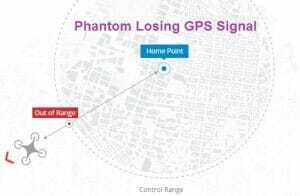 This article with videos will give you some tips, checks and pointers to prevent GPS signal loss on your Phantom. A lot of the tips here are very practical and you can use this information to guide you in troubleshooting any drone not just a Phantom. Fixing the Phantom GPS problem may take one solution or you may have to tackle the problem with different preventative action. I hope these videos and the knowledge within will be of great assistance to you. Remember, if your Phantom is still under warranty and you’re having a lot of GPS signal problems, then the best solution would be to contact the place of purchase and have the Phantom returned for a new one or have the GPS issue fixed under warranty. If you are finding that you are constantly losing the FPV signal or are flying close to the maximum FPV range on your Phantom, then it is a good idea to extend the Phantom 2 FPV range. The remote controller is powered off. The remote controller is powered on but the S1 is toggled in the position triggering the Failsafe (this may have been configured in the Phantom 2 Assistant software). The aircraft has flown out of the effective communication range of the remote controller. There is an obstacle obstructing the signal between the remote controller and the quadcopter, reducing the distance the signal can travel. There is EMI or EMF interference causing a signal problem with the remote controller. Failsafe works differently depending on the mode the Phantom is in. When Failsafe mode is initiated whether it is in the Ready to Fly or Ready to Fly (non-GPS) mode. Ready to Fly (non-GPS) – Automatic landing: The flight control system will try to keep the aircraft level during descent and landing. Note that the aircraft may be drifting during the descent and landing process. Ready to Fly – Automatic go home and land: The flight control system will automatically control the aircraft to fly back to the home point and land. Note: The Phantom cannot avoid obstacles during failsafe so it is important when flying that your Phantom is above buildings and trees etc. 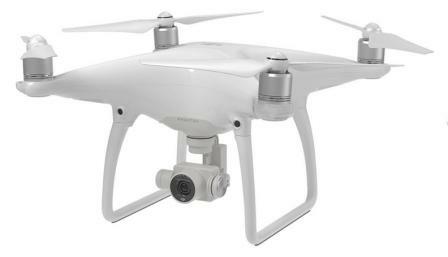 This video is packed with great information and tips regarding the Phantom 2 failsafe mode. Home Point: When the aircraft is initializing the “Ready to Fly” status, the aircraft will record the current GPS coordinates as the home point. It is recommended to lift off only after Ready to Fly status is confirmed for the safety of being able to fly back to home point successfully in case the Failsafe mode is initiated. Getting the Home Point set correctly is extremely important. This next video gives you some great tips on how and where to get the best return to home point. Phantom Battery: If the Phantom battery runs low, this will trigger Failsafe mode automatically if this has been enabled in the Vision App. If this feature has been disabled and your battery runs out during flight, it is going to crash. A fully charged battery in your Phantom is essential. Checking the health and battery level on your quadcopter is important. When the battery is powered off, press the circular power button once. Battery level indicators will show you the level your battery is at. If the 4 lights are on, this means your Phantom battery is between 87.5 and 100%. When the battery is running low, the Phantom will show a slow red flashing light. The Phantom App will also show a warning message. The low battery capacity warning alerts users when the battery is close to depletion during flight. When it appears, you need to quickly fly back and land to avoid damage. The Phantom 2 has two levels of low battery capacity warning. The 1st appears when the battery has less than 30% power and the 2nd warning appears when it has less than 15% power. When battery power drops below 30% and LED indicator will blink red slowly. At lower than 15% the LED indicator will blink red rapidly, the Phantom will also begin to descend and land automatically. After it has landed, keep the throttle stick at its lowest point or execute CSC. There is a hidden third low battery threshold in addition to the 1st and 2nd level warnings. This uses 10.65V as its threshold. Both this voltage threshold and the 2nd Level Low Battery Warning will trigger auto-landing. In the Vision App, you can enable or disable the auto go home feature when the battery is low. Remember to fly your Phantom 2 back as soon as you see a low battery capacity warning. Keeping the battery contact needles and pads clean is very important. Any dirt and dust may cause a communication failure. The below video is excellent and explains the Phantom battery indicators as well as issues when your battery health is not at 100%. Remote Control Battery: Good quality long life batteries (Sanyo Eneloop AA or similar) in your remote control. Batteries which are not fully charged may provide a weaker signal allowing another magnetic field to interfere with the Phantom GPS signal. Cheaper batteries discharge quicker and may leave you having to change the remote control batteries while your quadcopter is in the air and flying in failsafe mode. Smartphone Battery: Your smartphone or tablet should have a fully charged battery. If your battery is draining too quickly make sure to stop any unnecessary apps running in the background or remove no longer required apps from your smartphone or tablet. Your smartphone battery may also need to be replaced. Range Extender Battery: On the Phantom 2 Vision and Vision+ model, check the battery is fully charged. Note: Best practice is to carry spare batteries at all times for the quadcopter and other devices required for flight control. Firmware updates fix problems including GPS issues. Firmware updates may add new functionality to your Phantom or to the Vision App software. Check the DJI download page to see if you have the latest versions. 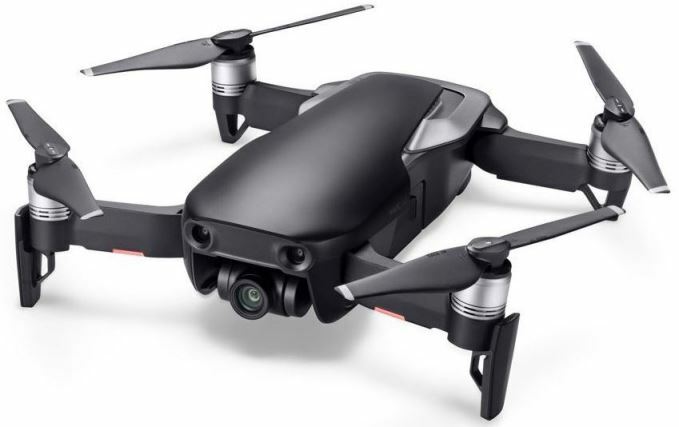 If you haven’t updated the firmware before, read and follow the video instructions in this update the Phantom firmware article. It is best practice to calibrate the compass and have the home point set every time before you fly. Do not fly the Phantom in severe weather conditions. These include high winds, lightening, solar flares, snow, rain, fog and smog. The minimum GPS Satellites in Ready To Fly GPS mode on your Phantom is 6. But ideally you should have 8 and more, upwards to 10 or 12. Check to see how many GPS satellites are above your flying area. If you’re in an area where there is not a lot of satellites, the below solution in the next video may just help with locating an extra couple of satellites. Remote Control Antenna: Keep the Antenna at a 45 degree angle for maximum remote control range during flight. Upgrade The RC Antenna: Changing to a better antenna on the Radio Controller will allow your Phantom to fly further without loosing radio contact. This next drone video will show you how to upgrade the remote control antennas to increase the flying range of your Phantom without loosing radio contact. Both the Vision and Vision+ drones have a WiFi extender. This extends the communication range between your smartphone and the Phantom 2 Vision. In an open unobstructed area, the distance can reach up to 700 meters (2296 feet). There are many new stronger antenna range boosters on the market now. Battery: The range extender battery should be fully charged with a full green light. You will find this in the top right of the camera page in the DJI Vision App. Working Correctly: The range extender is showing a flashing green light to indicate that it is working correctly. Direction: Keep the range extender pointing towards your Phantom during the flight. Boundary And Interference: Don’t push the range extender boundary to its limit of 700 meters as the signal will weaken the further you fly. Electrical and magnetic interference will also cause the signal to weaken. Reset And Binding: If the battery on the range extender goes flat or the reset button is pressed you will need to bind the extender with the Phantom 2 again. On the WiFi extender, flick the switch to the on position. Wait for approximately 30 seconds. The WiFi signal indicator should blink green indicating it is communicating correctly. Some Android devices do not allow for both a WiFi connection and a mobile data connection at the same time. When trying to connect to the Phantom 2 Vision+ WiFi network, most devices will check whether an Internet connection has a certain WiFi setting enabled such as “Auto Network Switch”. If no internet connection is found because the Phantom creates a non-routable connection it will drop the Phantom 2 WiFi network connection and scan for the next available connection. You will need to uncheck the “Auto Network Switch” in the Vision App which is under Settings, WiFi, Menu and Advanced. If using the App on multiple mobile devices, then switch off the App on the smartphone which isn’t being used. Fly in open areas away from high buildings or steel structures which may affect the accuracy of the on-board compass. Keep the Phantom away from high voltage power lines and reduce the chance of electromagnetic interference by not flying in areas with high levels of electromagnetism, including base stations or radio transmission towers. A common problem is the Zenmuse Gimbal creates an electrical interference between the gimbal and the GPS on the Phantom 2. This next video shows you how to fit the new Zenmuse H3-3D gimbal to the Phantom 2. The new gimbal comes with an anti interference filter. EMI absorbers are designed to absorb electromagnetic/radio frequency interference which improves antenna performance, data flex performance, high speed communication and increases signal integrity. Apply EMI shielding to your Phantom to improve the GPS Signal. Quite a common problem has been the loss of GPS satellites when flying or losing GPS satellites when filming in higher resolutions. If your Phantom is still in warranty, then you can return your Phantom for a new one or it will be fixed under warranty. To fix this problem with losing GPS Satellites when in flight or when recording, the following parts may have to be replaced. If you are pretty good at drone d-i-y, you can easily replace these parts without too much work. Start by updating the firmware and then work from that point on. These parts can be purchased through Amazon, DJI or your local DJI shop. Move the GPS module cable to the opposite end in your Phantom. I hope the information in this article along with the drone d-i-y videos will help you greatly in finding a solution to your GPS signal loss. Then you can enjoy the experience of flying your Phantom without any worries.